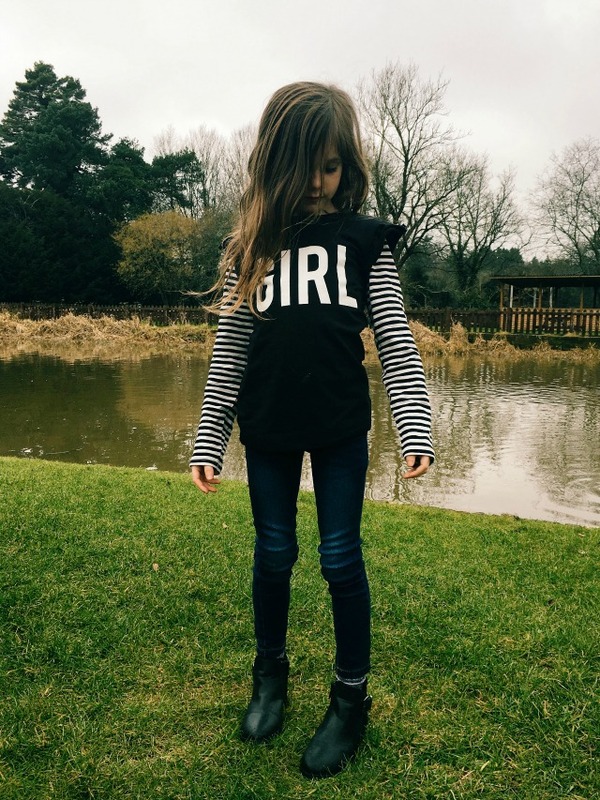 Last week I posted about Evie's new sixties inspired outfit from Mothercare.... today it's Daisy's turn! Daisy is seven now (SEVEN! How do I have a seven year old daughter?!) and loves picking out her own clothes. 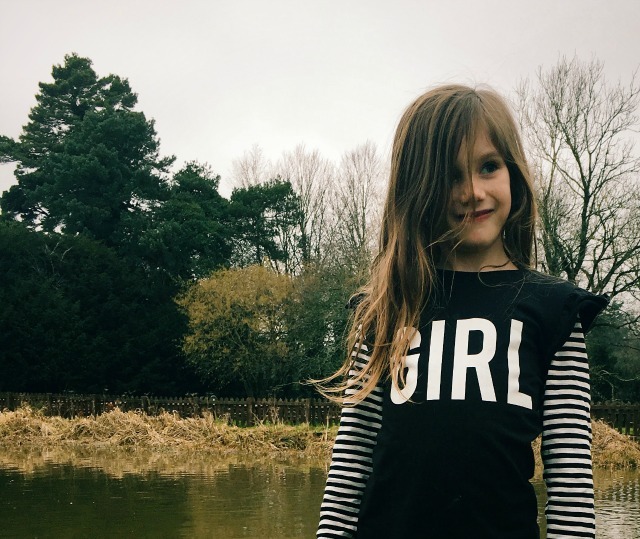 She's really into monochrome at the moment, which is a far cry from the brightly coloured vintage clothes that I dressed her in when she was younger. 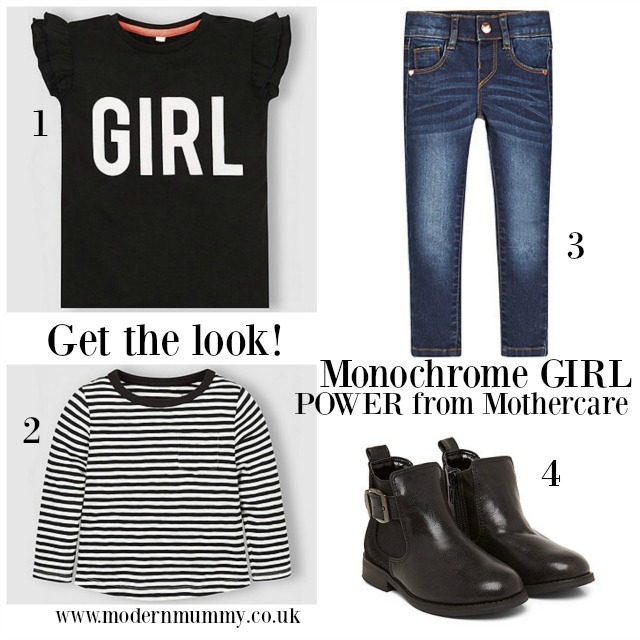 I've said it before and I'll say it again; I love Mothercare clothes. They are just so well made and so well priced, it genuinely is my go-to shop for everything, from underwear to pyjamas to winter coats to party dresses. 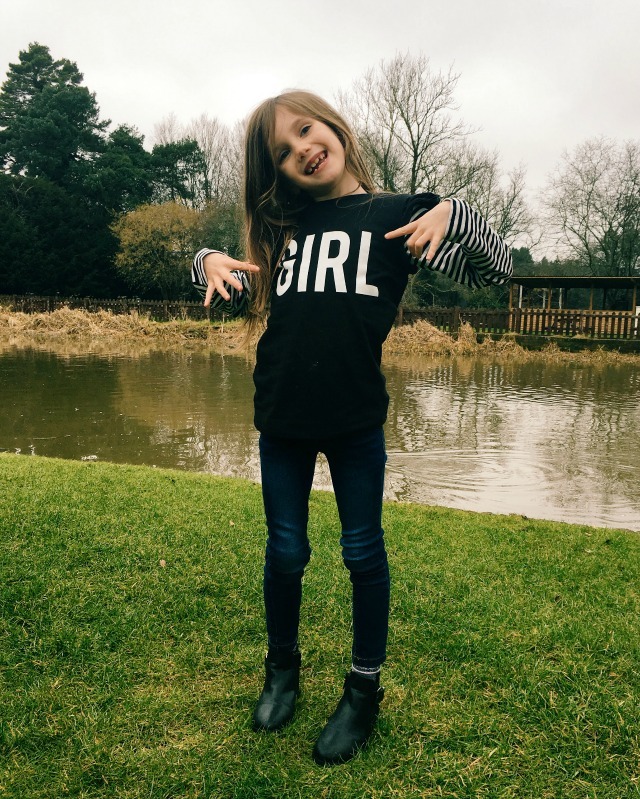 They've really got every style covered - there's the simple every day range, character pieces, the vintage inspired Little Bird collection and then the My K range which is a bit more edgy and urban; perfect for style conscious seven year olds!